Sussex County Councilwoman Joan Deaver must be worried. Why? Well, according to a political mailer that came to my house today, it seems that Claire Snyder-Hall is running for Sussex County Council. No, silly, she is running for State Senate in the 6th District against Ernie Lopez, but I’m not sure she’s aware of the issues. The mailer seems to indicate that Ms. Snyder-Hall would like to have more influence in land use decisions. She will be disappointed to know that land use decisions aren’t made in the Delaware legislature. Respectfully, some of Ms. Snyder-Hall’s comments, and then perhaps some things she should know before she sends mail to my home. The paper starts off by saying, “Claire Snyder-Hall has a plan to protect our community from reckless development.” If you’re too busy to read further, allow me to summarize: Ms. Snyder-Hall wants to continue policies that exist currently while pandering for anti-development votes. “DelDOT should consider the overall picture before it approves new development.” Is Ms. Snyder-Hall implying that DelDOT doesn’t currently review projects? The controversial new commercial project that has been proposed near Cave Neck Road on was going to pay over $8,000,000 for DelDOT road improvements. Who gave them that idea? “Developers should be responsible for the cost of expanding infrastructure, not the taxpayers.” Regretfully, Ms. Snyder-Hall appears unaware that this has always been the case in Sussex County. See above- the developer WAS REQUIRED to pay for the road improvements. The taxpayers only reap the benefits of the increased land values (and corresponding property taxes), and the state reaps new taxpayers because of the jobs created. Projects like the above mentioned create middle-class jobs, which is something that should concern a candidate for State Senate. “The legislature should enact a law requiring counties to address stormwater/drainage issues.” Ms. Snyder-Hall clearly thinks more regulation will solve a situation that is currently a regulatory disaster. Here’s how water works in Delaware: it flows downhill or is absorbed into the soil. It is likely the same in other places. Interestingly, it does not seem to respect regulatory borders. 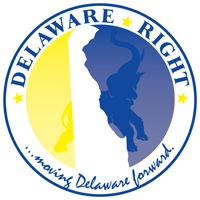 If water is sitting somewhere in Delaware, it is regulated by DNREC. DNREC has county divisions (called conservation districts) that deal with drainage issues. The catch is that when water flows into a DelDOT right-of-way, said water is then regulated by DelDOT. DNREC has no jurisdiction in DelDOT right-of-ways. Neither state agency answers to the other, nor is there one final state arbiter of drainage. I don’t want to speak for the water, but I doubt it cares who regulates it. Ms. Snyder-Hall’s ideas would create a county agency to contribute to the chaos. This idea is completely lacking in originality, and more importantly, effectiveness. “The State should require the County to have and implement a comprehensive plan that meets state requirements” This document is available for download at the county’s website. 8 Comments on "Guest Post From Scott Dailey"
No difference between Snyder’s comments and Steve Smyk’s when it comes to development. Smyk was gong to testify against development at County Council. All clueless liberals. Neither deserve to be in Dover. Actually, there is a huge difference between Snyder-Hall’s comments and Smyk’s comments. Mr. Smyk was responding to the requests of his constituents on the issue of development. Whatever you may think of what he was to say, he was performing the role of Representative in our state. He is sent to Dover to do exactly what he was doing. You issue is with the voters in his district. Ms. Snyder-Hall was attempting to sway voters with promises that she has no hope of keeping. There is not much difference between Claire Snyder-Hall and Steve Smyk. They are both clueless as to what is going on with the new proposed mall. Smyk has severely damaged himself by appearing on WGMD and stating that he advocates raising traffic fines then denying it when thousands of people heard him say it. He also advocated adding cameras to most major traffic lights. He also proudly boasted that he voted yes, to selling alcohol in theaters. What happens when a drunk is sitting next to your grand-daughter in a dark theater. What happens when the movie is over; the drunks gets up and gets in his car and drives home drunk. Smyk has also severely damaged himself by missing forums and debates. He is a self-serving idiot that serves himself and not the people. Respectfully, do you think Smyk and Mayor will vote the same way on the budget? On taxes? On DNREC or DelDOT? Do you think they share similar views on marriage and family? How about on education? I am sure you don’t agree with Smyk on all things, but I’m sure you agree with Mayor on less. 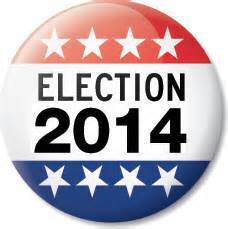 A vote for Ayotte may be agree with your conscience, but it makes Mayor your new state rep…. There are hundreds of theaters that serve food and alcohol and I’ve been to a couple of them. I have never seen a problem. How many drinks can you pound down in less than 2 hours? The ones I’ve been to also serve local brews, which of course locally would mean Dogfish Head which employs a couple of hundred people in Smyk’s district. Why wouldn’t he vote for it. Are you saying Floridians can handle a glass or two of wine at the movies, but Delawareans can’t? They are both sway voters with promises that they cannot keep. Do you think the state is going to pay 8 million dollars for the acres by route 88 for a member of the Sussex republican minority or are they going to use that 8 million dollars for acres in Wilmington for a democrat? State will not buy land for Smyk to be elected again. Snyder-Smyk both making promises they cannot keep.